The 33rd Guam Liberation Mile ran through the parade route on Marine Drive early Friday morning with a pair of olympians leading the way. 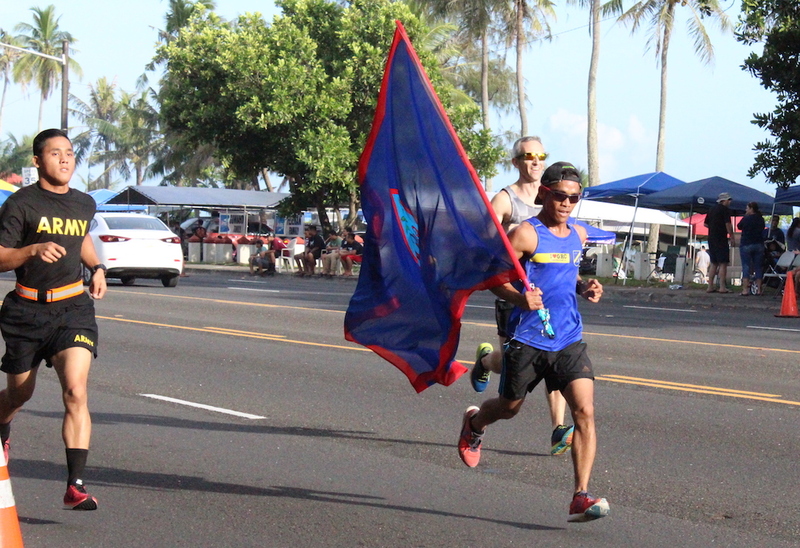 Derek Mandell and Joshua Ilsutre stormed down the final stretch of the Liberation Mile, which ended at Chamorro Village, with Illustrate beating out Mandell by mere seconds. Ilustre (4:53) has ran the event before, but Friday marked his first ever 1st place finish. In the ladies lane, Genina Criss retained her spot as the top finisher with a (6:02) time. “It was a great opportunity because I haven’t been in a race in a long time and I’m just happy to be a part of this event,” added Criss.